When your baby has started showing signals that he is ready for potty training, chances are you get mixed feelings on how to train your child right and how to manage doing it in just a short period of time. Of course it would be effort-saving once you have mastered training your child for only a few numbers of days. You probably might be asking now, is this really possible in your case? The answer could be YES. What you should know is that there are actually some techniques that are helpful and effective for a successful 3 day potty training. You read it right! These are the only things that you need the most. A good-quality standalone potty chair is the only equipment you need so it would be nice to invest on it. It has to be comfortable to sit on to encourage better potty training experience for your baby. Eventually, your child will get used to using it for potty breaks. TIP: Make the potty chair always available in a specific place at your home where you think your child will be comfortable to do it. It requires you to teach him where to find his potty chair whenever he has to go. You might also want to give it a cute name like “POTTSIE” or whatever your child could easily say so that every time he tells you he has to go, he will just look for it and call it like it is his friend. Timing is very important in a successful three-day potty training. For instance, if your child refuses, it simply means he isn’t ready to make it a habit. Sometimes it could depend on their moods so never pressure your child to do it if he doesn’t feel like doing it. If he seems to be ready, the time is just right. When the time is correct, everything else will follow. As a parent, you know your child very well so act on proper timing to avoid a stressful potty training experience for your kid. TIP: Always consider the readiness of your child. Training an older toddler doesn’t mean he is easier to train. In fact, there are more risks when training late than starting earlier. If he is between 1 to 3 years old, you can induce his will to do potty training by creating a fun activity that involves the potty chair. For example, you can play role with other family members or always engage ideas regarding it while having conversations. Effort and patience should always be together in potty training. It is absolutely wrong to expect your child to comprehend easily especially when you decide to start early. 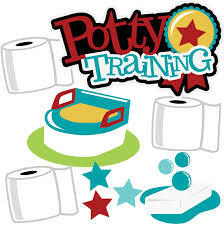 Take note that if you want to finish potty training for only three days, extra effort and patience should be provided. TIP: Choose the right timing and you will not need to deal with extended patience and effort. Effort may require giving him praises when he does it correctly or when he informs you about having his diapers wet or dirty. You may also give him incentives for a better encouragement. There is a greater chance that your child will follow easily when he realizes that everyone else in the house uses the potty chair/toilet. What he sees in others would set his own standards that’s why participating household members are important. TIP: It will be quite a burden in your part if you are the only one who does it. Ask for everybody’s help even when they are just friends visiting your home. See to it that when they come, you would have a small potty training conversation that is very remarkable to your child. If he is able to understand the use of his potty chair, he wouldn’t need to rely on diapers. You may encourage him better if he’s all naked. This means to choose the time when you are okay to just stay at home and focus on potty training. See. There are many ways to do it. If you have your own ways, surely you have thought thoroughly over them so be courageous enough to share them to the world.